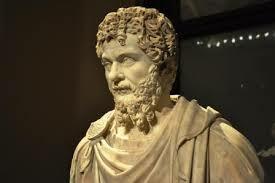 The Roman emperor Septimius Severus (193-211 A.D.) is said to have warned his sons as he lay dying to "enrich the soldiers and ignore the rest." By the time of Severus Rome had become dependent upon a professional, and often mercenary, military to fight its wars. No longer a citizen-soldier armed force, Rome's army expected to be rewarded for its service, and the state would pay dearly if her soldiers did not get what they wanted. Today's American military is far different from that which fought for imperial Rome. U.S. service personnel are far more idealistic, humanitarian, and devoted to the nation. At this moment, however, the nation is repaying its active and retired military with what amounts to a grave insult. Pensions have been cut while various "social programs" are funded and civilian administration decisions have resulted in the loss of cities and territory in Iraq, which were already purchased with the blood and lives of hundreds of brave and high-minded U.S. military forces. In Afghanistan, rules of engagement dictated by bureaucrats in Washington continue to make fighting a dangerous enemy even more perilous. As despicable as is the above, future humiliation awaits the military on a global scale. Civilian budget cuts are destroying America's technical and scientific preeminence, while China and Russia are spending billions to challenge and overwhelm the U.S. in the Pacific, the Arctic, and in Europe. Because of narrow political decisions in Washington, our military personnel may soon find themselves in a hopeless confrontation with Russia and/or China. There must be an unbroken bond between the military who fight and the civilians who are protected. In the early part of our history, the bond was easily maintained because the two were often the same. The Revolutionary War soldier was the farmer down the road, or a brother or cousin. The same held true of the U.S. military in the Civil War, when brother did fight brother. Teddy Roosevelt organized his own "Rough Rider" volunteer force in the war against Spain, and the draft during the World Wars made the most ordinary civilian a true (if reluctant) warrior. The words in the national anthem, "land of the free and home of the brave," rang out sharp and true. The Cold War, however, introduced a lack of clarity in warfare. In Korea, American troops fought under the flag of the United Nations, with unclear goals and strategies. The Korean War became a stalemate. There was no victory in the Korea, only a truce in 1953. Technically, we are still at war in Korea. During the Vietnam War, America's goals were never completely clear. Rules of engagement made fighting a guerrilla war against a determined foe as confused as it was deadly. Worst of all, the American press consistently undermined our troops, gave support to Vietnamese Communists, and provided essential media coverage to pro-Communist groups operating in the U.S. The draftee army of the era fought well, but morale sank as violent "student" demonstrations tore at the nation. The administration of Lyndon Johnson failed to provide an answer as to why we were fighting a major war in Asia. The nation turned against the war and the succeeding Nixon administration searched for any face-saving way out of the conflict. On the ground, no one in wanted to be "the last to die in Vietnam." Not only did U.S. troops leave Vietnam, but the U.S. Congress cut off all aid to the South Vietnam government, which ensured a bloody Communist victory, the deaths of many Vietnamese who supported the United States, a mass emigration by non-Communists from Vietnam, and the sense among many veterans that over 56,000 U.S. troops had died in vain. Today's volunteer military arose from the chaos of the Vietnam experience. A professional military using sophisticated tactics and weaponry favored both by the military and the "antiwar" crowd as the answer. "Anti-war" activists favored the end to the draft and Pentagon experts considered a volunteer military to be the answer to the complex, smaller wars they foresaw in the future. The long, drawn out conflicts forced upon the United States by Islamic fanatics, however, were not envisioned by the experts, and these wars have taken a toll on the all-volunteer force. Media disinterest since the start of the Obama administration concerning the casualties in the fight against Islamic fanaticism, has made the professional military nearly invisible to the general public. The recent popular film Lone Survivor demonstrates that the vast majority of the American people supports the military when the public is reminded of the heroism and devotion of our frontline troops. As in Vietnam, "victory" has never been defined in the wars against Islamic fanaticism. What exactly is our goal now? How are we to reach it? For what are our troops dying? We as a people must not waste, or even appear to waste, the lives of our fighting forces in conflicts where we are not ready to fight for victory - and define ahead of time what constitutes victory. Our volunteer force is doing a job that others cannot or will not do. America has been able to field the most humanitarian and idealistic professional fighting force the world has ever seen, but their devotion must be returned. U.S. troops should not be committed to any conflict unless there is the determination to be victorious. Military pensions and benefits must be honored and not reduced, especially to maintain "social programs" which lack clarity and defined results. As a nation, it is also our responsibility to see that our troops have not sacrificed their blood and lives in vain. It is despicable that decisions by the Obama administration are leading to the undoing of the gains in Iraq which were obtained at such a high cost in blood and lives. This shame recalls the waste of the Vietnam War. We cannot throw away with such cool indifference the lives of men and women whom we put in harm's way. There is the first hint of a feeling of isolation of our volunteer force from the civilians whom they swore to protect. The national anthem still announces of "the land of the free and home of the brave," but some in our volunteer military speak privately of the "land of the free because of the brave." Certainly not everyone can be a soldier, but we all can support and demand the best treatment for our fighting forces. First and foremost there must be a commitment of the entire nation to the armed forces. No one should be asked to die for his or her country without the nation as a whole standing with that American warrior. How should this be done? Certainly our front line troops would have ideas of their own. There is the Wounded Warrior Project and the Lone Survivor Foundation are two possibilities. Of course, there are many other fine organizations. There also must be no more Quixotic adventures to spread democracy in politically primitive areas, and no half-hearted attempts to fight a fanatical enemy. The division between the military and the civilian which existed during the later Roman Empire does not exit in any degree among the U.S. armed forces today, but we cannot allow selfish political manipulation and convenient media disinterest to initiate a rift between the military and the American public. It is conceivable that the idealism and humanitarianism of our military could wane. The high-minded volunteer of today could be replaced in some tomorrow by individuals who put their own interests before that of the public and the nation. It has happened before, it must not be allowed to happen here. The soldiers, sailors, and Marines who stand and fight for us are the best, and they deserve the best.